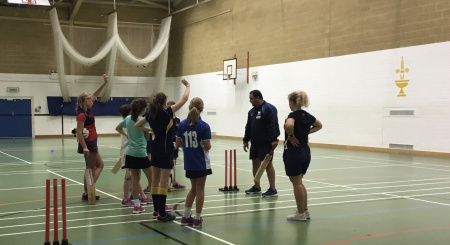 Oxfordshire Cricket can confirm that after three weeks of Stream A, all individuals that were involved should have now received communication to indicate if they have been invited to attend Stream B, or whether they have unfortunately been unsuccessful and will be given coaching feedback in order to continue their development . Stream B which will start on the 10th of November will consist of four, two hour sessions which are delivered by qualified coaches. The sessions will focus on maximising player development through coaching and player feedback, whilst also including integrated player observation and assessment. Multiple session options will be provided to offer flexibility, encouraging our players to participate in other sports and to also help accommodate academic commitments. Players attending Stream B will include newly nominated players to our Playing Pathway and players who will be returning for another year in their pursuit of county or development selection who have progressed from Stream A, alongside county and saxons squad players from 2018. At the conclusion of Stream B, players will either successfully receive an invitation to progress to Stream C, or unfortunately will be successful where they will then return to their club with coaching feedback to continue their development.